Popular conspiracy theorist Alex Jones has also joined the supremacy battle between Indian music label T-Series and famed Swedish YouTuber PewDiePie. However, Jones hasn’t joined the race as a third contender, but as a supporter calling for viewers to subscribe to PewDiePie’s campaign. The video does have a few slip-ups, like addressing PewDiePie as a “she” and saying that he has 100 million subscribers. The correct number is over 77 million. PewDiePie has yet to comment on Alex Jones’ video, so it will be interesting to see what he says about this unexpected support. PewDiePie continues to get support from all over the world. One popular name who came out in support of PewDiePie was YouTuber Day by Dave. He paid actual celebrities via the Cameo website to endorse the YouTuber. Day by Dave’s experiment helped get paid support for the Swedish YouTube from the likes of Percy Weasley from Harry Potter, WWE Super Star The Great Khali and others. PewDiePie himself acknowledged the support in a tweet on Nov. 29. Dave also managed to get other YouTubers on board, like young Vardan Antonyan from David Dobrik’s vlog series and even PewDiePie’s previous foe, Dillon the Hacker. Another high-profile campaign for the Swedish YouTuber came from fellow YouTuber Mr. Beast in October. Mr. Beast covered his city with a PewDiePie ad by buying billboards, local television ads, and radio spots and asking people to subscribe to PewDiePie’s campaign. Mr. Beast also posted a video of the whole thing. The efforts certainly paid off as the video got over 11 million views and even inspired other fans to promote PewDiePie publicly. PewDiePie himself has also been urging fans through his videos to promote his channel. He has also been acknowledging those who are lobbying for his cause. His videos included clips of the fans who purchased newspaper ads and posted fliers asking strangers to subscribe to PewDiePie. PewDiePie’s fan following has even reached India, the home of rival T-Series. YouTuber Saiman Says bought billboards around Mumbai to get support for the fellow YouTuber. “For the sake of YouTube, please subscribe to PewDiePie, because if you subscribe to PewDiePie, you are saving YouTube,” Saiman urges strangers. Why is the PewDiePie vs. T-Series battle important? Thanks to such support from fans, the fight between the two has grown intense lately. The Swedish YouTuber has about 77 million subscribers, while rival T-Series is around 75 million. Amid the PewDiePie vs. T-Series battle, a critical point which has faded into the background is the root cause of this battle. Many may be wondering why the online community is showing such strong support of the YouTuber. The answer to this is in the above sentence from YouTuber Saiman: to save YouTube. Many fans believe it is crucial that YouTube remains a platform for independent creators. For this to happen, it is very important that an individual remains the “face” of the platform. T-Series may be getting the support of individual followers, but it still is a company with a big team and a massive budget. Thus, YouTubers feel that if a company becomes the top name on YouTube, it will undermine the very concept of why YouTube was created. Despite admitting the mistake, the controversy doesn’t seem to be settling down, thanks to the heavy media coverage the stunt attracted. 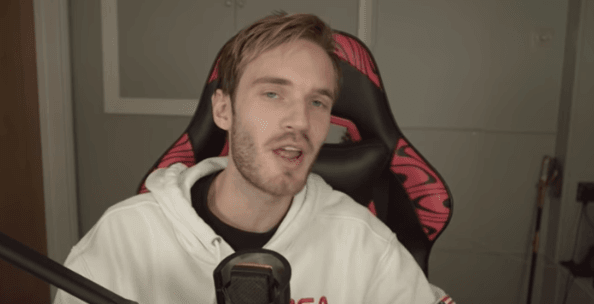 PewDiePie also responded to the allegations and blamed the media for blowing the matter out of proportion. “Media gave a bigger shout to that channel,” he said in a video.